A fair few months ago now I went a bit mad on depop looking for nail varnish and ended up spending a fortune and buying way more than what I actually needed; but hey ho. If you have an addiction just go through with it. I've wanted to share these nail varnishes with you for so long now, but it's been a struggle trying to find the time to fit this post in; so here it is for anyone who loves nail varnish as much as I do. But firstly, do you call it nail varnish or nail polish? Technic is one of those affordable brands which I absolutely love. I have a fair few products from their brand now and their mascaras have to be my absolute favourite, but I had never tried their nail varnishes before. 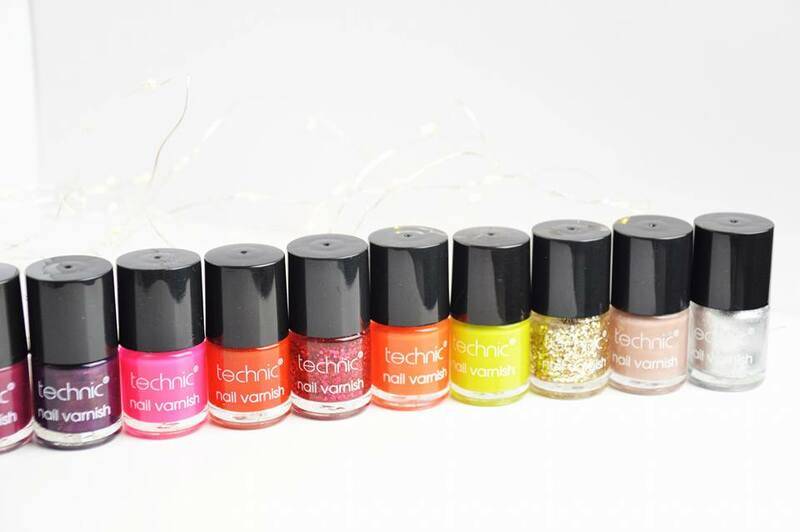 So when I saw a girl selling 16 nail varnishes from the Technic range I had to try and get my hands on them and of course we all secretly (or openly) love a bargain. 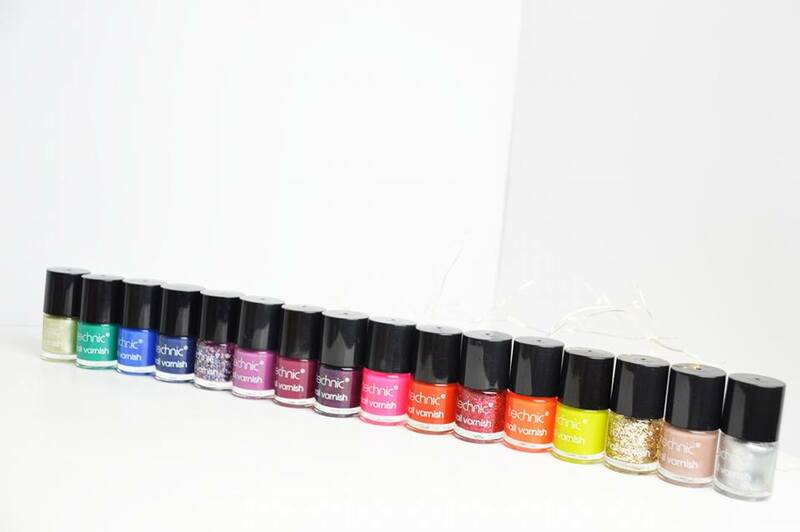 I managed to get my hands on 16 nail varnishes for just £5, and that's with postage and packaging, I couldn't believe it! 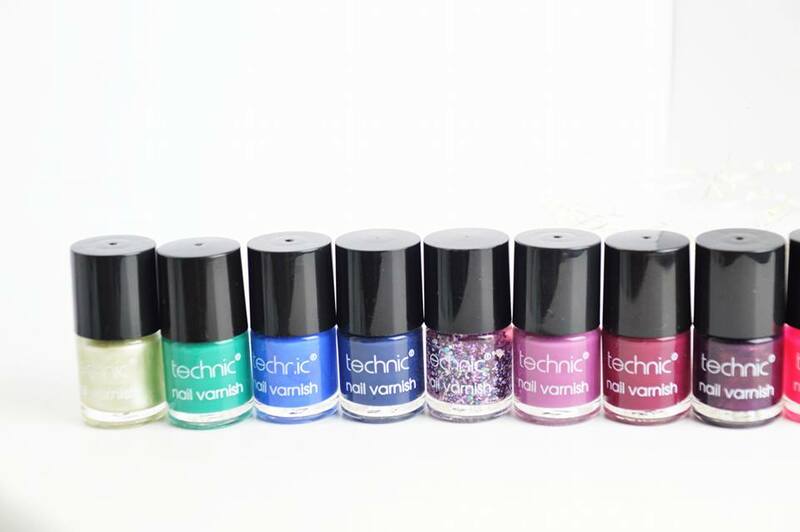 Technic nail varnishes retail for between £2 each up to £6 each; depending where you find them, what shape bottle they are, how many ml's there are and whether they're a limited edition nail varnish. So it's safe to say this was a massive saving by getting only a huge 16 nail varnishes for just £5. I have absolutely no idea how much that works out to be per bottle, but I couldn't resist. They colours are absolutely beautiful, highly pigmented and I only need to use one coat of nail varnish too. Sadly I wouldn't say the quality is amazing as it chips off rather easily, however with a top coat this solves all the issues! If you're looking for some bargain nail varnishes, I definitely recommend checking out Depop if you haven't already! Technic are a super brand to also keep an eye out for, especially for those bright, vibrant colours. Such amazing shades! Loving the glittery ones, very pretty!